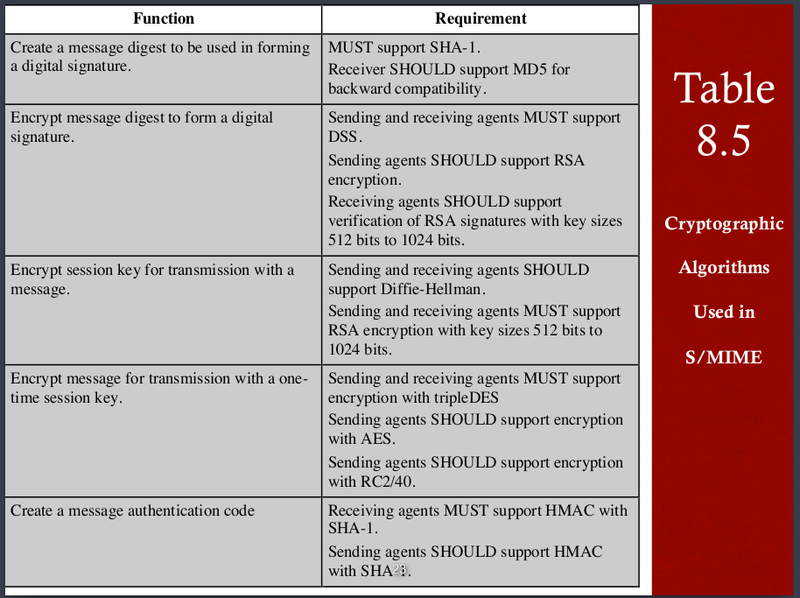 SHA Note, NOT AN Encryption standard! 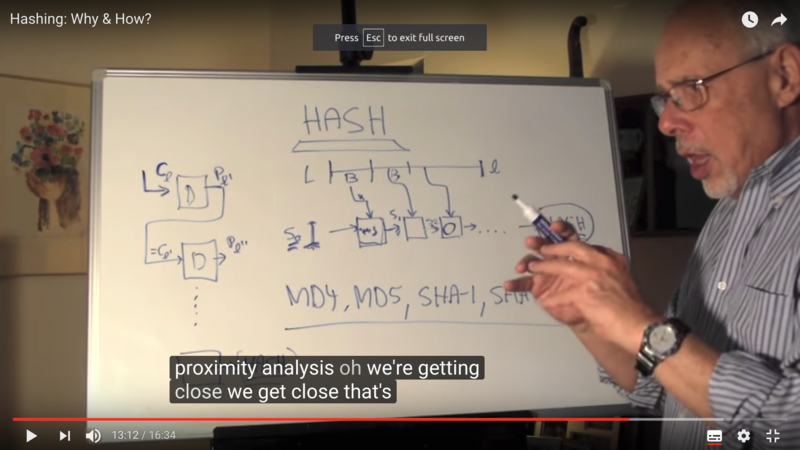 Message encryption vs Message digestion(hashing), what is the difference? Private key vs Secret key, what is the difference? What is mutual authentication and why we need it?? What is the difference b/w the digital signature and public key authentication. So a question comes to my mind, What is the differenct b/w HTTPS,TLS and SSL? 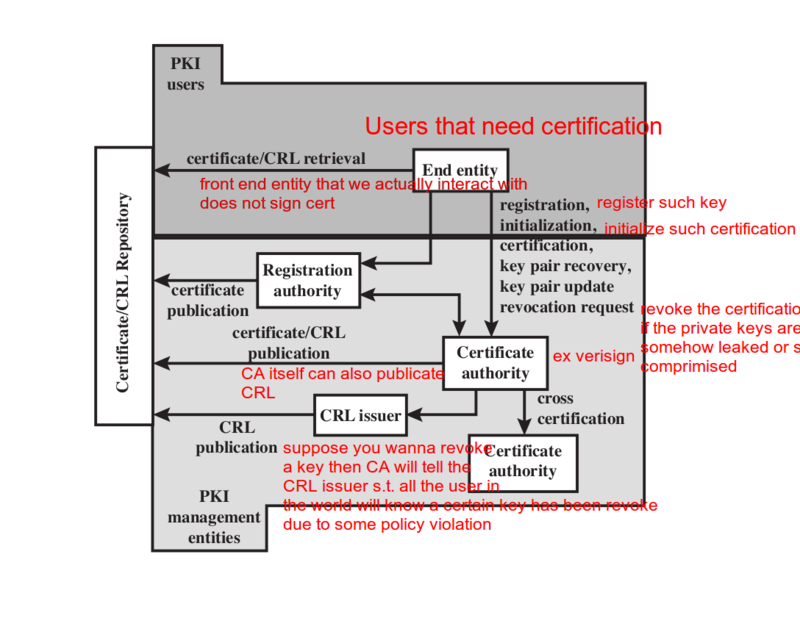 When to revoke a user's certification?? Assymetric encryption is not necessarily and absolutely better than the symmetric encryption, they can work with each other. On avg, half of the keys have to be tested. Want to collect all the ciphtertext to find out the plaintext or ultimately, find out what the key is. Use the known plaintext and the correspond ciphertext which encrypted by the encryption algorithm and ultimately find out what the key is. Use the dedicatedly and carefully crafted plaintext, figuring out the characteristics about the algorithm and ultimately find out what the key is. As we've done in the course project 1, we use the dedicatedly and carefully crafted plaintext, figuring out the characteristics about the algorithm and ultimately find out what the key is. Encrypt and decrypt with the same key, the key should be shared through a secure manner. 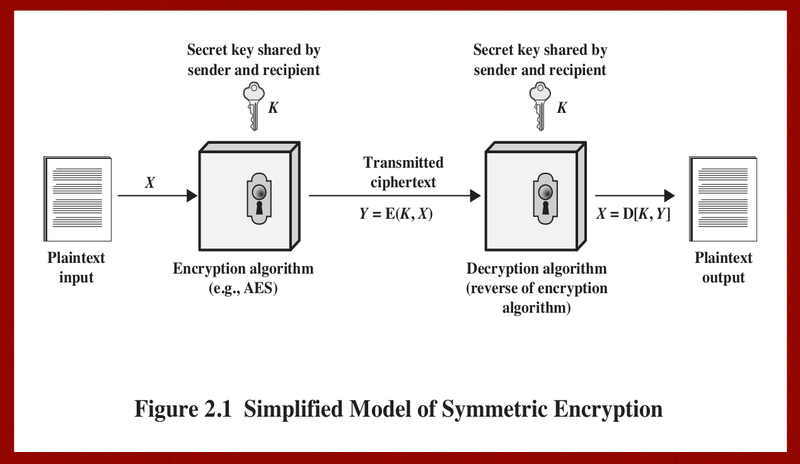 security of symmetric encryption depends on the secrecy of the key, not the secrecy of the algorithm, which means we should keep the secret key as safe as possible. Will post report after the session of this homework ends. An encryption algorithm use round, permutation shift and XOR operation to generate the ciphertext. Prone to brute force attack since the key space is too small to guarantee the safe area, so the safer 3-DES algorithm is used nowadays. 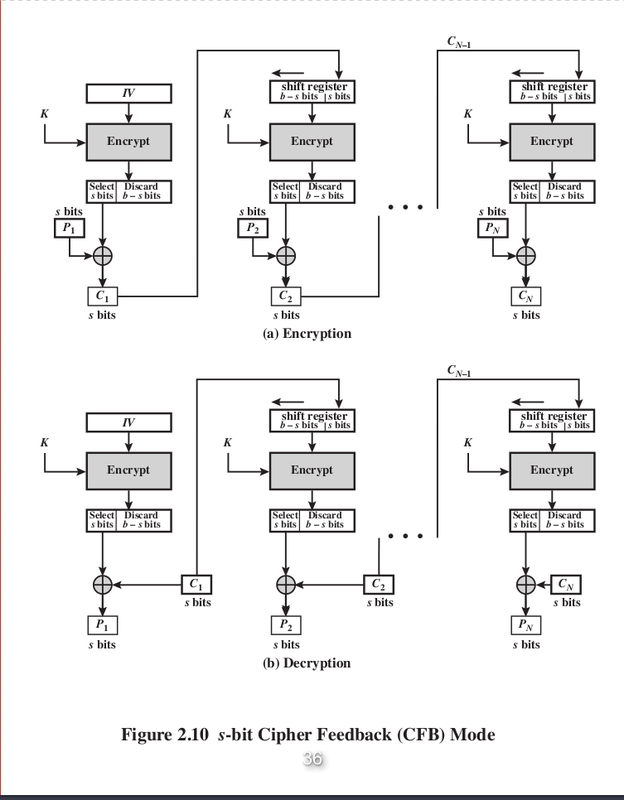 This is a model based on the Fiestel model, namely for the encryption and decryption they use the same function but in the reversed order. 3DES lengthens the key of DES (56 * 3 = 168), doing DES 3 times to make the encryption safer. Since the Fiestel architecture, the encryption and decryption method are just the reverse of each other. Make a better encryption of 3DES, namely evolve from 3DES for a stronger and faster encryption algorithm. AES is still the same as the DES in the category of block cipher encryption, but the block size of AES is 128 bits, doubled of the DES encryption. 10 Rounds of encryption again and again is needed. 2.The Shift Rows(Bit transposition) is shifting the data, to rearrange the text, for row i we shift i-1 times to the left. 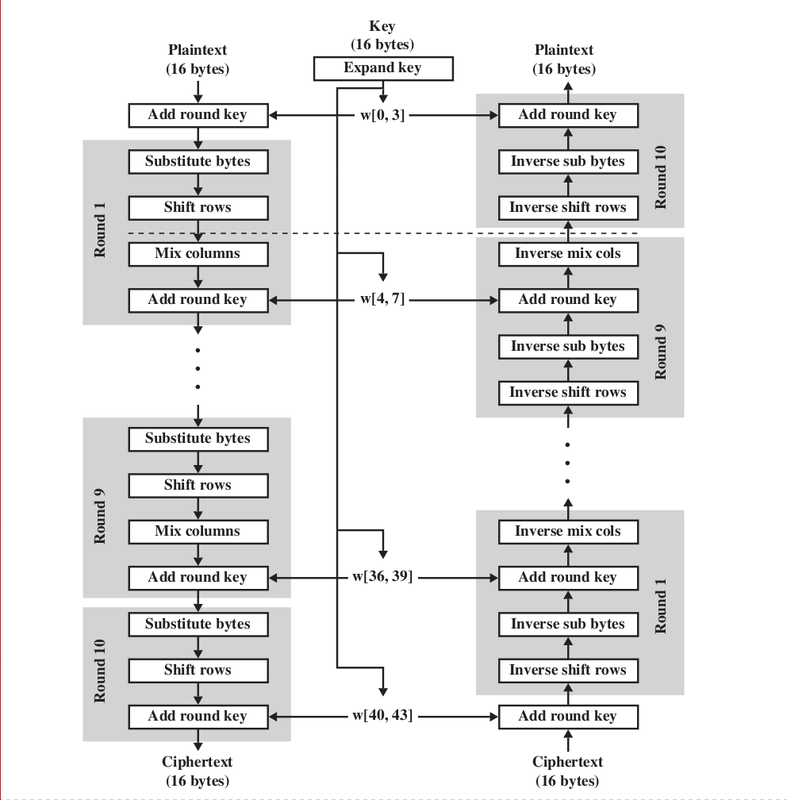 1.RSA pub-key generation and other pub-key algorithms. 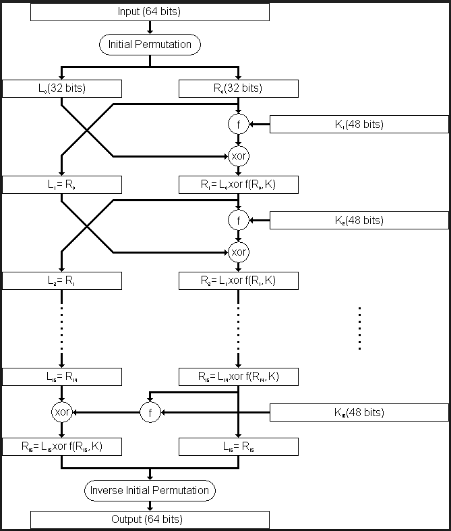 The following 2 criteria are used to validate a sequence is random. 1.Uniform distribution: The each element in the seed of random number must take the same proportion of being taken out. 2.Independence: A sequence cannot be inferred from the other sequence, strictly and absolutely. Change the encryption key from time to time, and each time the two part(sender-receiver) can generate the same random key s.t. they can encrypt and decrypt the same message. The key of such encryption algorithm should have a extremely large period and as random as possible, o.w. it is crack-prone. 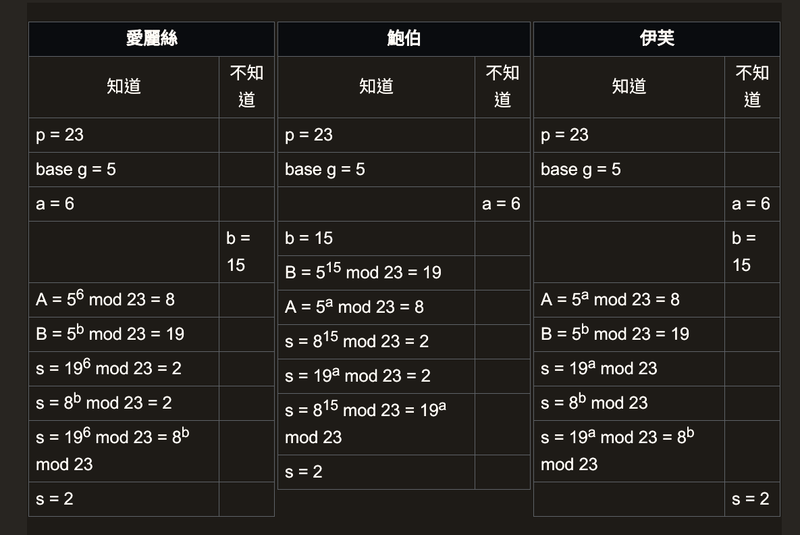 1.An algorithm with changeable key length encryption. 1.Shuffle the key, make it randomised. Use the same key for the text, and divide the text into blocks, processing ONE BLOCK for each time. 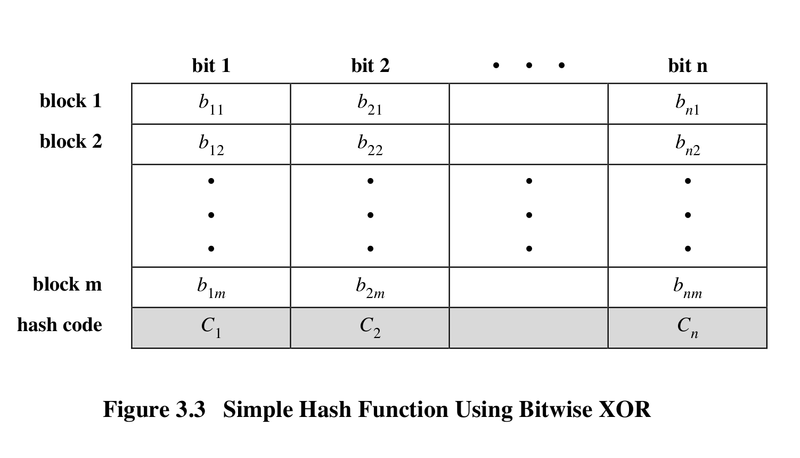 Processing procedure including shift position, substitute text to let the plaintext look similar, however, generating the totally different ciphertext for cryptographically secure. The AES(128 bits per block), DES(64 bits per block), 3DES(64 bits per block) are lie in this category. 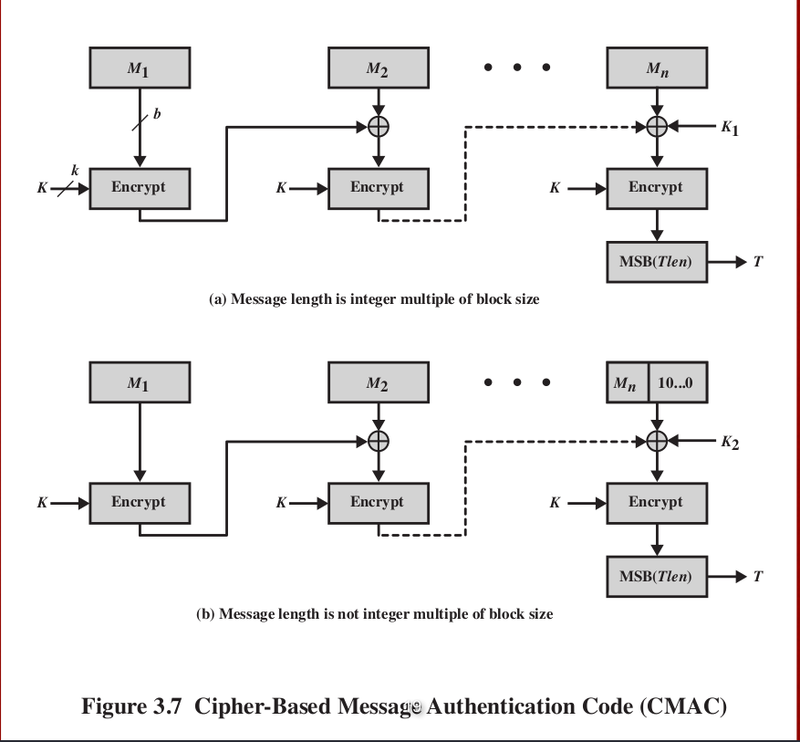 5 Block modes for the block cipher, defined by NIST USA. Intended to use for the symmetric cipher. .
1.Electronic Code Book where Encryption: ciphertext[i] = code_book[plaintext[i]] just. Need a decryptor to do reversed tasks. 2.Cipher Block Chaining, take the step i's ciphertext XOR with next step's plaintext and encrypt again. If there is a bit error in the ciphertext, it will cause the decryption of plaintext i and plaintext i+1 error since they are chained together from step to step. 3.Cipher FeedBack , only the encryptor is needed, 2 times of encryption is equivalent to decryption (Reason: ). 4.CounTeR , use the counter directly for the key of encryption. 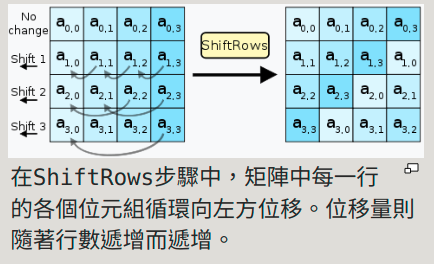 Can be processed parallelly since each block can be processed with its counter and independent with other blocks, random access is suitable as well. And use the same key for decryption due to the properties of XOR operation, once the ciphertext XOR key ---> plaintext is decrypted. 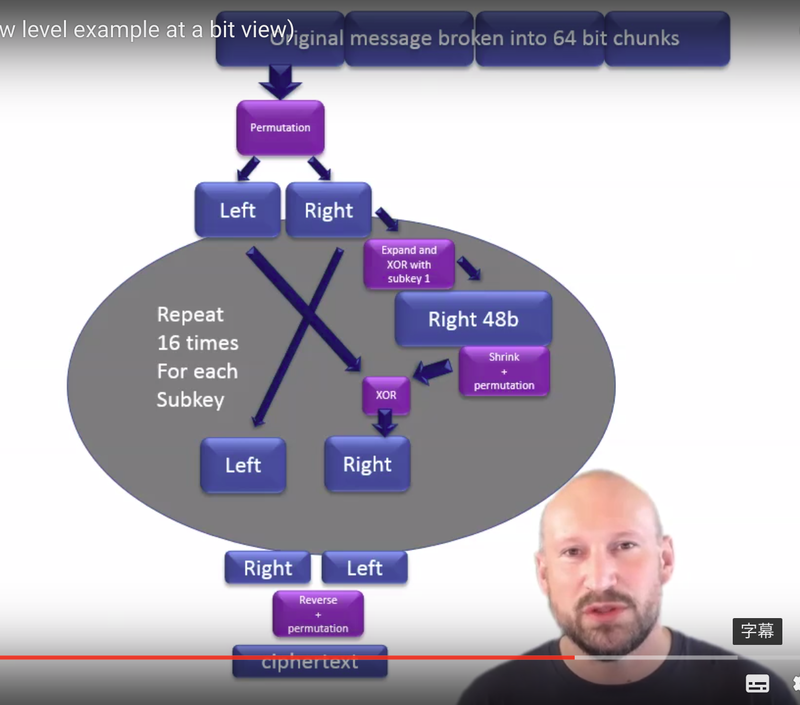 The CTR mode is both HW and SW efficiency (parallelism are able to implemented in both CPU and compiler, OS ...etc). What's more, the preprocessing can be done as well, even without the presence of the plaintext, we can still generate the required key and the next task is just let plaintext XOR key ---> ciphertext. Useful reference site ,MUST READ!!! Clarify!! 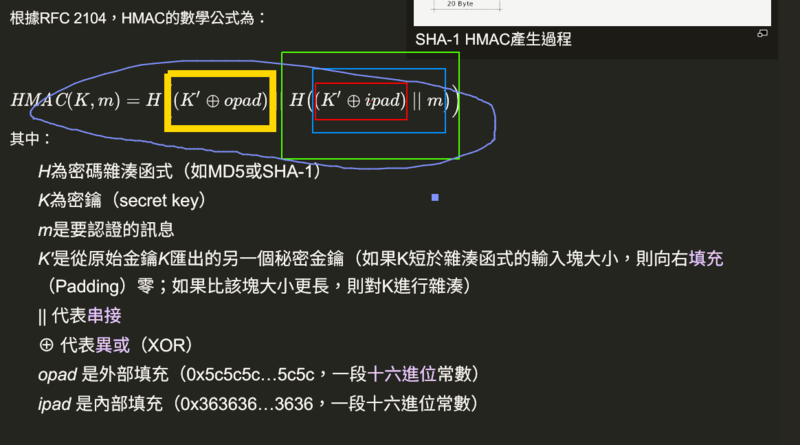 : MAC cannot perform the data encryption, it can only be used for data authentication and validation. 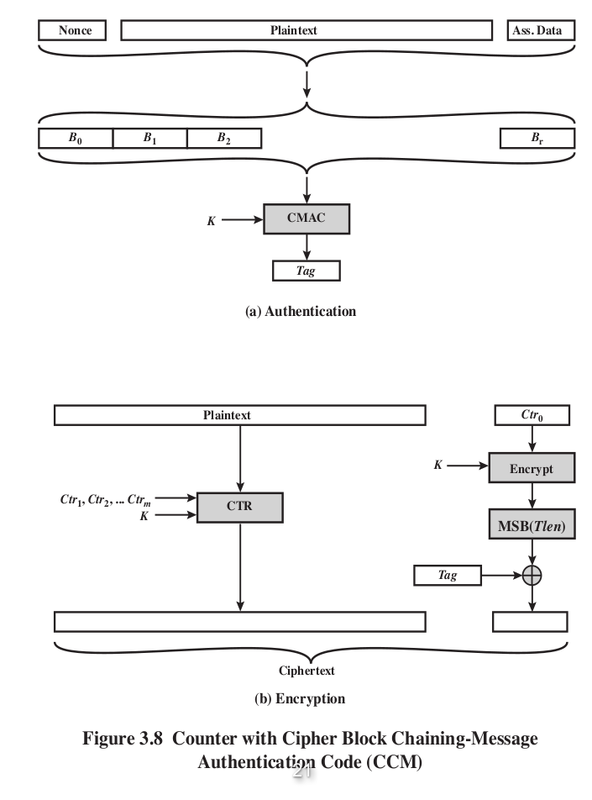 Such as parity checking is also a kind of message authentication. 1.Collision and preimage-found resistant, making it unable to do the reverse of hash to forge the data. 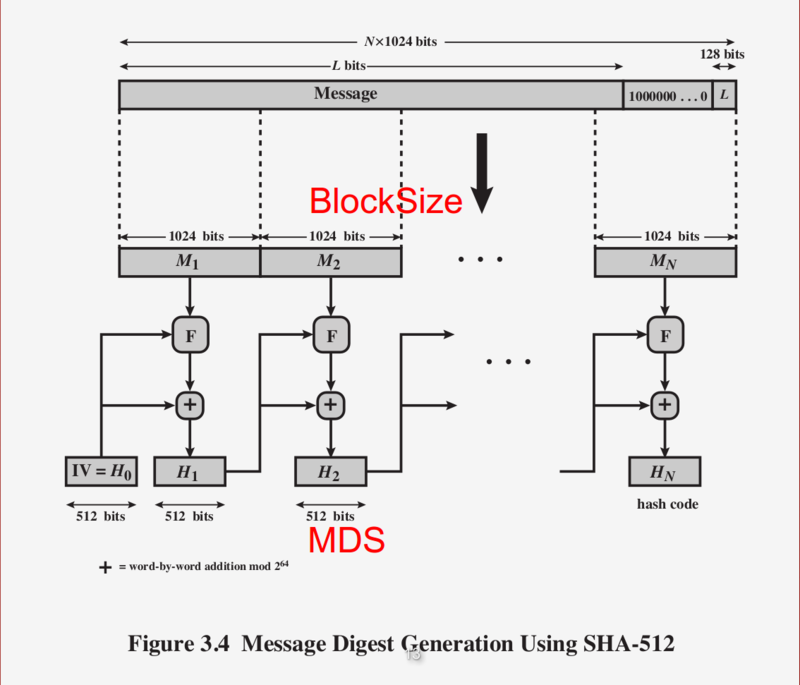 1.Message Digest Size: Message digest, MD(same as MD of MD5), of how much data amount we output, such as in the following SHA1 algorithm, we produce 160bits output (hex * 40 = 160). 2.Message Size: Message amount that we can process in one time(Maxium input). 4.Word Size: A size of a given state. The following are the Message digest from the SHA512. 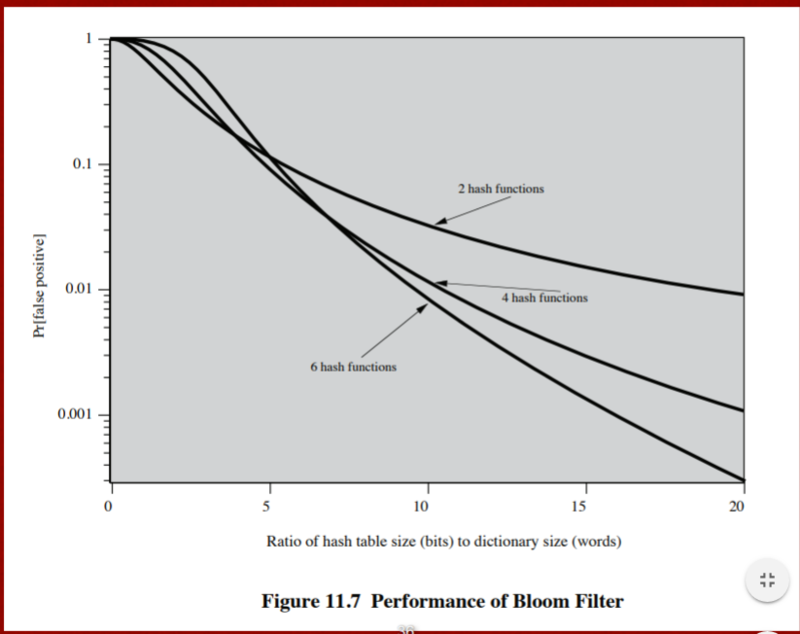 Hash aims for reduce the huge amount of data to the small amount. Can be used for verify and prevent the errors in the communication. Evan a small change in the original plaintext (such as only a bit), it will cause the totally different hash value, this result is called Avalanche Effect. 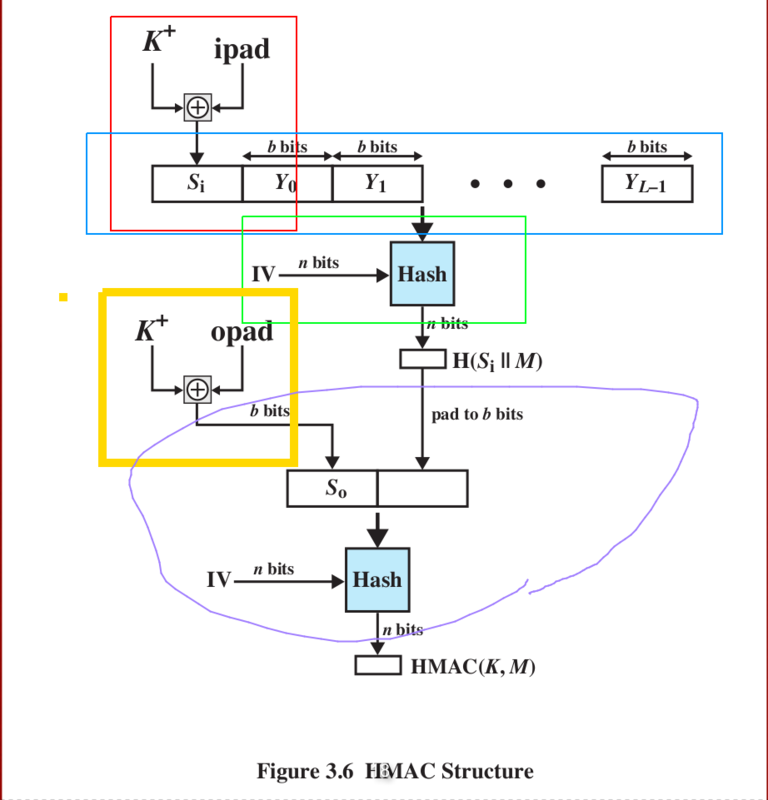 It ensures the security of hash algorithm. Digestion (hashing): Digest the whole data, may be used for message authentication, producing an ID or FINGERPRINT of the input data. A term used to describe encryption systems that simultaneously protect confidentiality and authenticity of communications. Compared with traditional encryption, the authenticated encryption additionally provides authenticity, while plain encryption provides only confidentiality. Usually more complicated than confidentiality-only or authenticity-only schemes. Encrypt with public key: Want to send someone a message that only they(certain of groups,...etc) will be able to read, encrypt it with that person's public key. Encrypt with private key: Want to publish some information and guarantee that you're the author (Reason is that the only person who encrypt with HIS PRIVATE KEY CAN ONLY BE THE ORGINAL AUTHOR, and everyone can use the public related to that private key to decrypt it), and that it hasn't been tampered with, then you encrypt it with your private key. (We can as well use the authenticated encryption to ensure the authenticity. Just like the aforementioned Digital signature) so What is we encrypt with private key?? 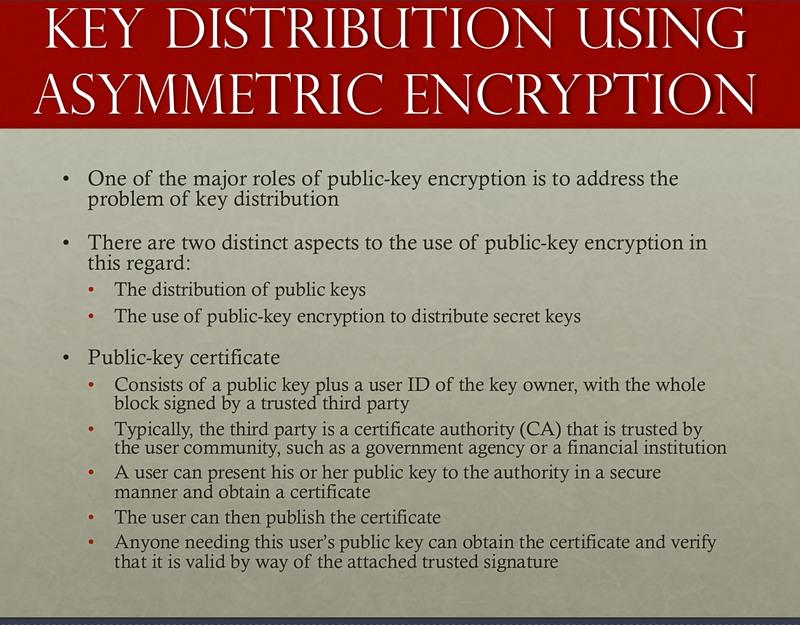 Private key: Use in asymmetric encryption. Secret key: Use in symmetric encryption, but it is quite hard for us (or say unsafe) to exchange secret key, so the Diffie Hellman key exchange algorithm is invented. SSL, TLS, SFTP use it. 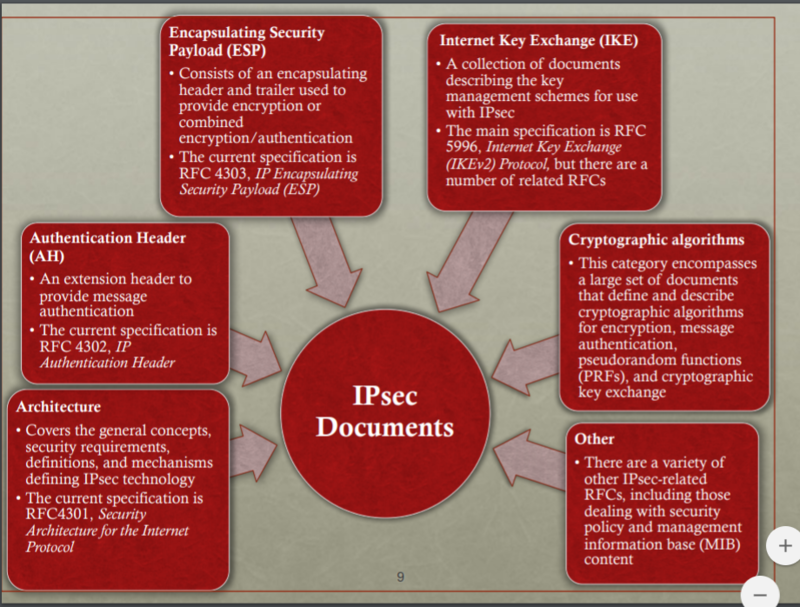 Like the AES implemetation AES is symmetric encryption and a shared-secret-key exchange is needed for end-to-end data encryption. Both of end to end does not need to know each other (or cant break) his / her private key but share a same secret key to do secret data exchange. In this algorithm, we should choose a very big a, b and p s.t. Bob is unable so solve 'a' of Alice's secret and neither is Alice. o.w. Eve will hack into it and solve the shared secret key. 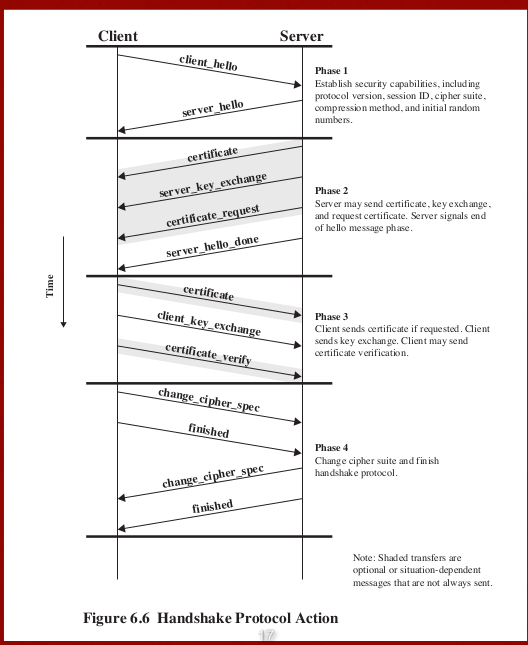 Aside from the RSA, why use Diffie Hellman key exchange? The core idea about this is still the mathematical expression, for example for the secret key K1, since Darth intercepts the message, then he can forge the key with his secret key XD2 ,due to the following mathematical theory about modulo exponential. 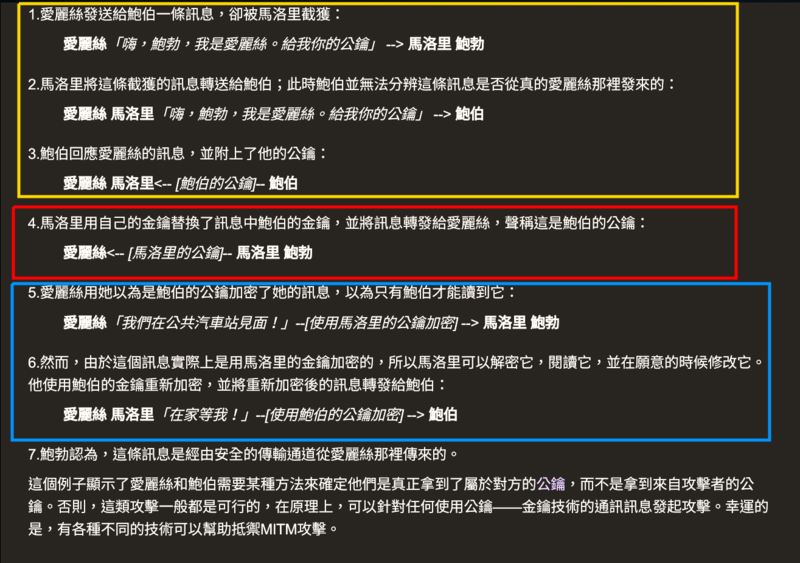 So Alice is able to acquire the secret key via her own private key XA due to the upper math theory. BUT SHE DOES NOT KNOW THAT YD2 ACTUALLY COMES FROM DARTH and DARTH now share the same key with Alice, so Alice thinks that Darth is Bob!! and the same is true for Bob!! Used in the symmetric key crypto system to exchange keys from one end point to another. Generates a symmetric secret key b/w two end points. Distributed system makes computing power better. During the key's lifetime (embedded in the message), the key can be used again and again. Record the timestamp of each data transaction. Prone to replay attack(a kind of MITM attack) if the clocks b/w the client and server is not synchronised But how come will this happen?? If the system time is not synchronised, then suppose the end point EA is slower, then the MITM can intercept the message b/w two endpoint and resend the password again to hack and pretend to be the genuine user. What's more, since the time is slower in EA, then as the MITM intercepts data and resend, it does need some time to "RETRANSMIT" , but it is the slower time that allows the delay of retransmit time not be discovered if the time difference |T_received - T_send| < epsilon is not so strict. The server and the receiver share a certain kind of "shared secret" that might be generated as the user registered in the system. v4 is prone to MITM attack and v5 is not. Both the server and client may be inpersonated, so we need to verify their real identification. 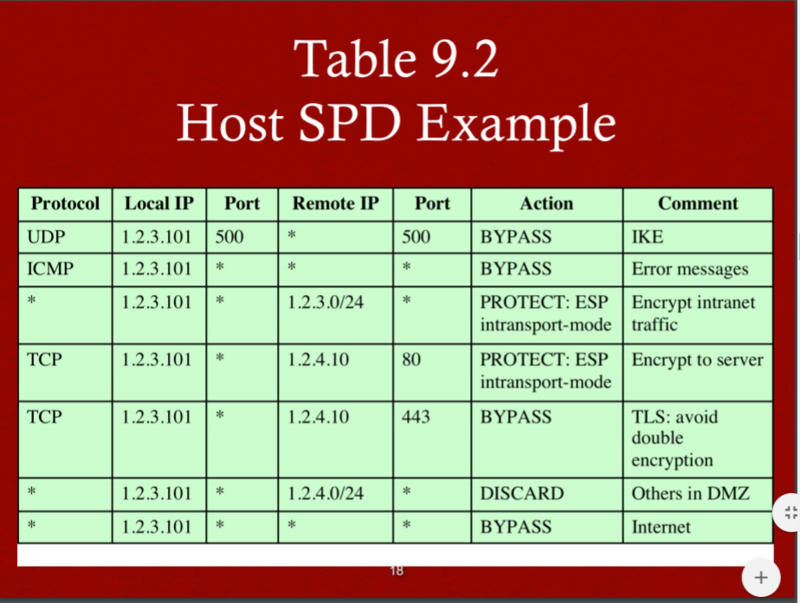 The well known SSL use this method ,and the X.509 standard is used. Verify the signature that generated by CA to ensure the reality. From stackoverflow: A digital signature is used to verify a message. It is basically an encrypted hash (encrypted by the private key of the sender) of the message. The recipient can check if the message was tampered with by hashing the received message and comparing this value with the decrypted signature (decrypted the signature with the public key from the sender). To decrypt the signature, the corresponding public key is required. A digital certificate is used to bind public keys to persons or other entities. If there were no certificates, the signature could be easily be forged, as the recipient could not check if the public key belongs to the sender. Private key of root CA should be absolutely inaccessible. Answer as follows: 1.TLS is just the new name (or say acronym) of SSL Namely, SSL protocol got to version 3.0; TLS 1.0 is "SSL 3.1". TLS versions currently defined include TLS 1.1 and 1.2. Each new version adds a few features and modifies some internal details. We sometimes say "SSL/TLS". 2.HTTPS is the HTTP under the secured transmission protocol, i.e. HTTPS is HTTP-within-SSL/TLS. SSL (TLS) establishes a secured, bidirectional tunnel for arbitrary binary data between two hosts. A public key infrastructure (PKI) is a set of roles, policies, and procedures needed to create, manage, distribute, use, store, and revoke digital certificates and manage public-key encryption. PKI YouTube video * PKI is a framework that some vendor and use...etc should follow, and PKI associates a public key with a verified person/system. Used to control the access of user to the internet. provides a generic transport service for the exchange of authentication information between a client system and an authentication server. The authentication server gives the instruction to the gate / authenticator such that it can give the client the internet resource he wants or not. 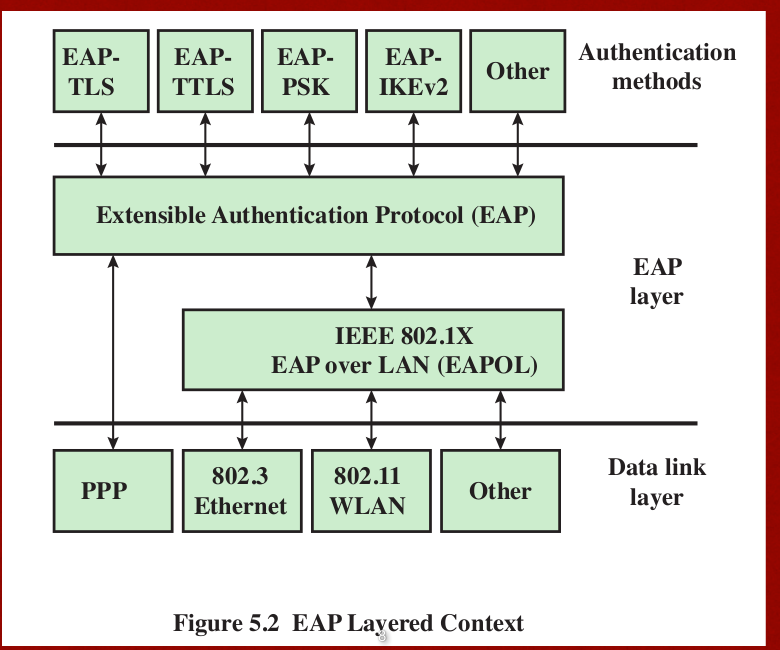 , auth methods through the EAP layer to reach the data link layer. Definition: Focus on what service cloud should have rather than a "how to" design architecture. a tool for describing, discussing, and developing a system-specific architecture using a common framework of reference. 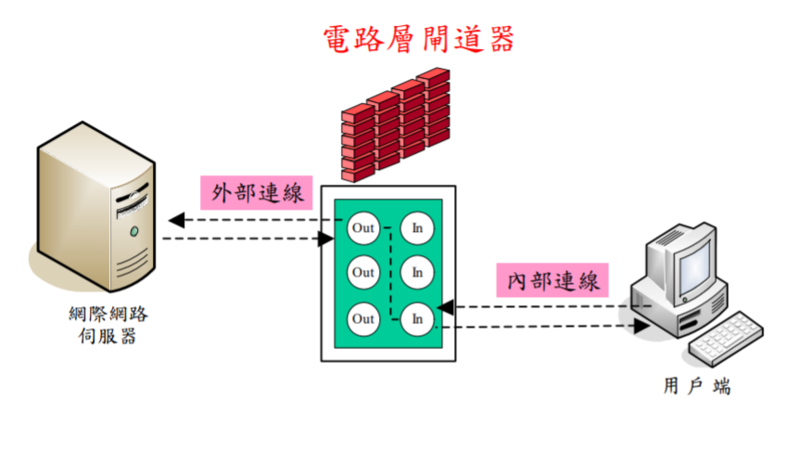 3.Broker(經紀人):Help the consumer to manage the cloud service when it is too complicated. SSL connection: each connection is transient , and associated with one session. Confidentiality with Handshake protocol to ensure that no one intercept in the pipeline, encrypt the data with secret key. 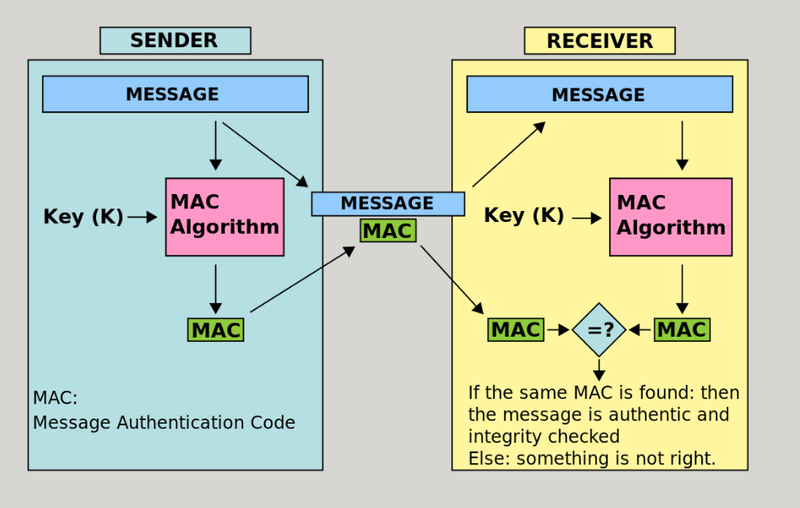 Message integrity: With a shared secret key to ensure the MAC code such that we may check whether the data has been modified or not. 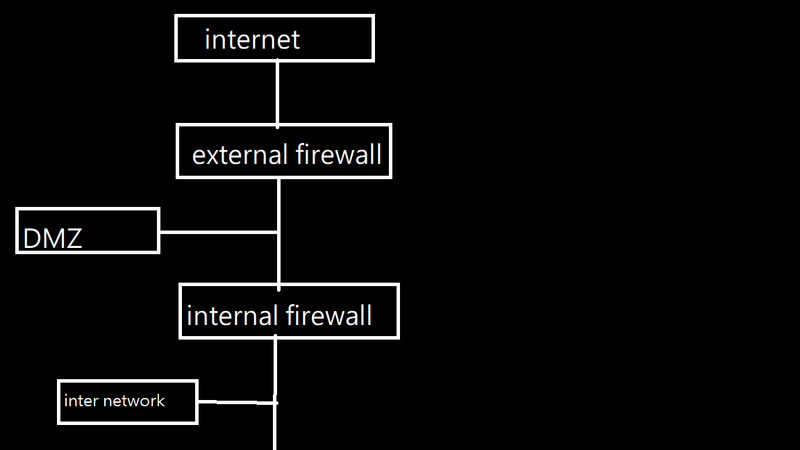 The normal HTTP close we just need HTTP close, while the HTTPS we need the TLS which involves the underlying TCP connection. TLS requires the two entity of TCP in both client and server side. TLS should agree and exchange the closure alerts before closing connection. Using the asymmetric encryption for user authentication(identify the private key of the user ti ensure the user is really him). Wireless devices are tend to have higher security risks than others since the following factors: Channel, Mobility, Resources, Accessibility. Common Wireless Network Threats: Accidental association, Malicious association, AD-HOC Networks, Identity theft(MAC Spoofing), MITM attack, DoS, Network injection. Signal hiding(not so practical) and encryption(kind of practical). Main threat is the unauthorized access to the network. 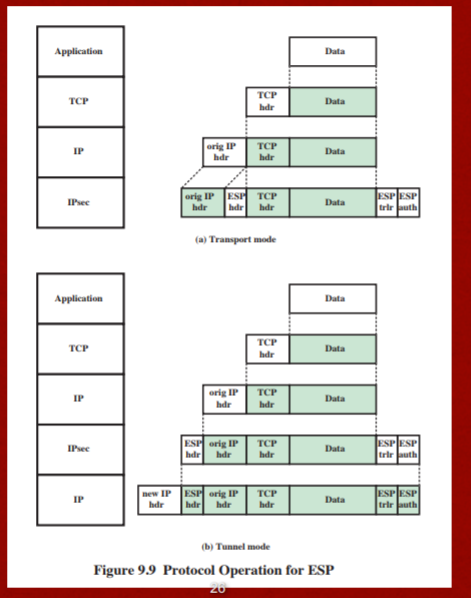 The 802.1X standard. provides the authentication for device wishing connecting to the LAN/WLAN. Uncontrolled ports: Allows PDU exchange b/w supplicant and other RS regardless the authentication state. WPA: Fixed the vulnerability of WEP. MIC is the message integrity code to ensure the integrity of the message. What is the purpose of ANonce and SNonce? 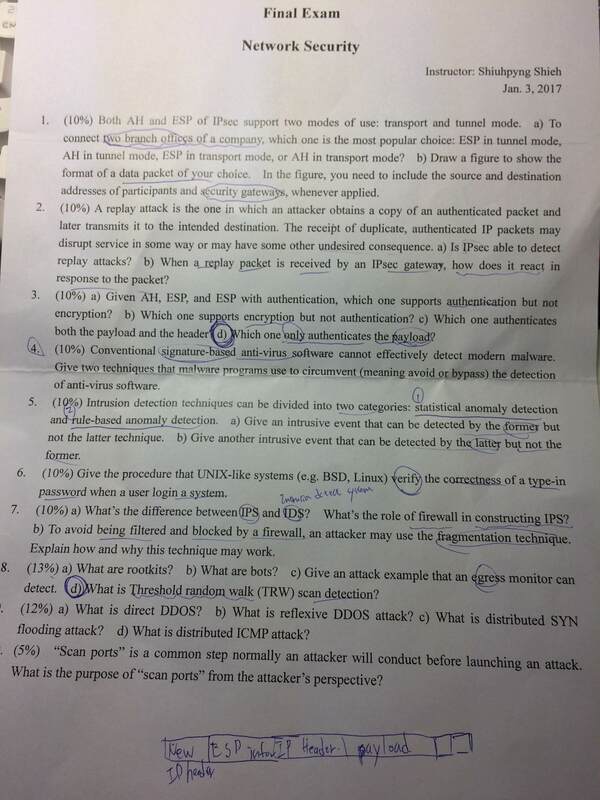 As we can see from the 2017mid2 , they are used to generated the PTK for both the STA and AP, also the back SNonce serves like a challenge-response protocol to ensure the freshness and the alive of STA that there is no MITM attack and the same is true for AP. The GTK is used for decrypting the data of multicast and broadcast traffic, all of the STAs share the same GTK. TK with TKIP or CCMP are used for traffic key(encryption for data transfer phase) provides message integrity and data confidentiality. 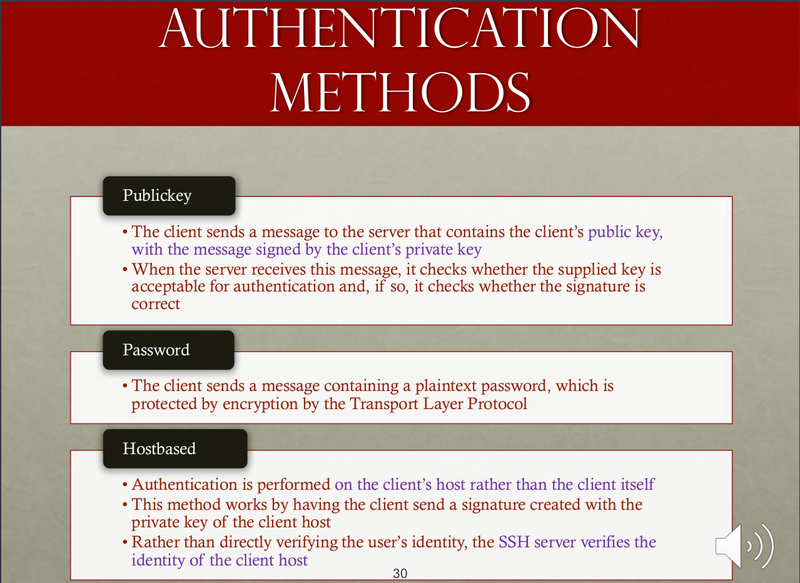 PGP also provides the message authentication and the message integrity. RSA ensures that only the mail sender signed with the digital sender, encrypt w his/her private key, can be decrypted with his/her public key, thus ensures the identity. 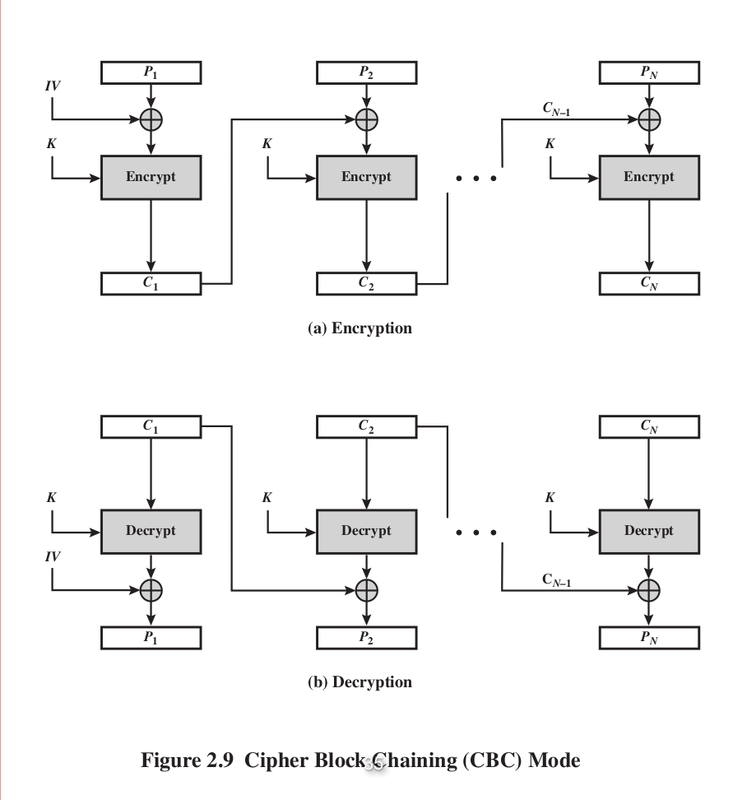 64bits CFB is used, using the block cipher , symmetric encryption. Encrypt the sesion key with the receiver's public key. 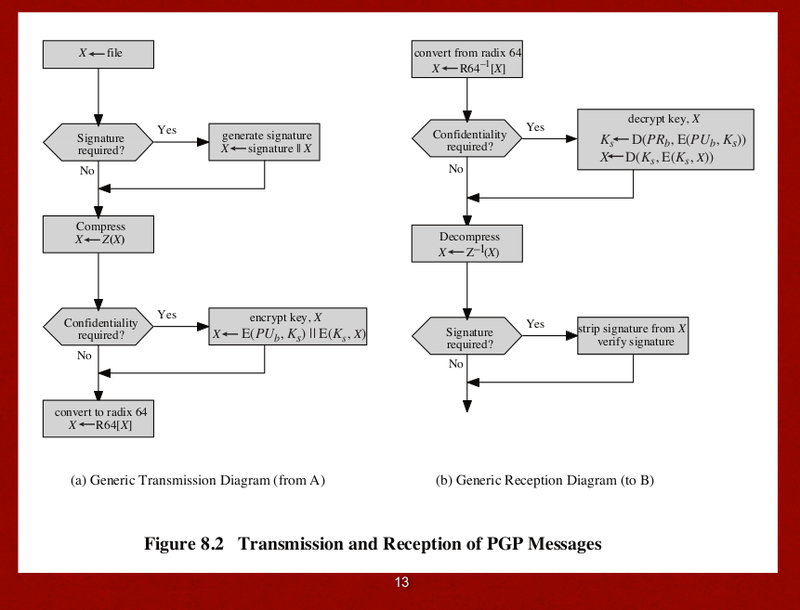 PGP compresses the msg after signature but before encryption. If sign after the compression, then the version of compression will be constrained since different compression leads to different encoding thus different hash result even with the same source data. Radix64(B64) encoding to convert them into printable ASCII chars. Append the CRC to protect the transmission error. 5 Headers are defined, to fully describe the email, MIME-ver, content type, content-transfer encoding, content-ID, content description. Enveloped data: encrypted content of any type and encrypted content encryption keys for one or more recipients. Smime secures the MIME with a signature ,encryption, or both Clear signing does not involve transforming the message to be signed. Computer emergency response team(CERT) : expert group that handles computer security incidents. 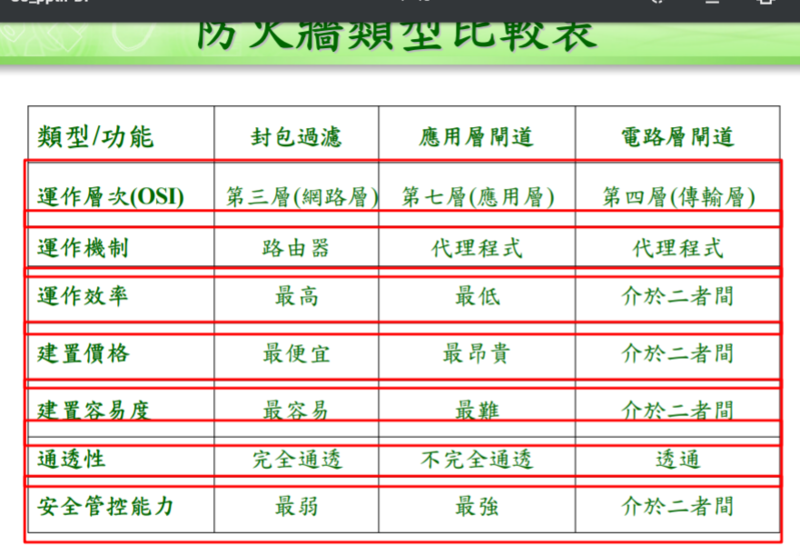 Profiles of Behavior of Intruders and Authorized Users(那張圖)說明 : the nature of the task confronting the designer of an intrusion detection system. Although the typical behavior of an intruder differs from the typical behavior of an authorized user, there is an overlap in these behaviors. Thus, a loose interpretation of intruder behavior, which will catch more intruders, will also lead to a number of "false positives," or authorized users identified as intruders. On the other hand, an attempt to limit false positives by a tight interpretation of intruder behavior will lead to an increase in false negatives, or intruders not identified as intruders. Thus, there is an element of compromise and art in the practice of intrusion detection. 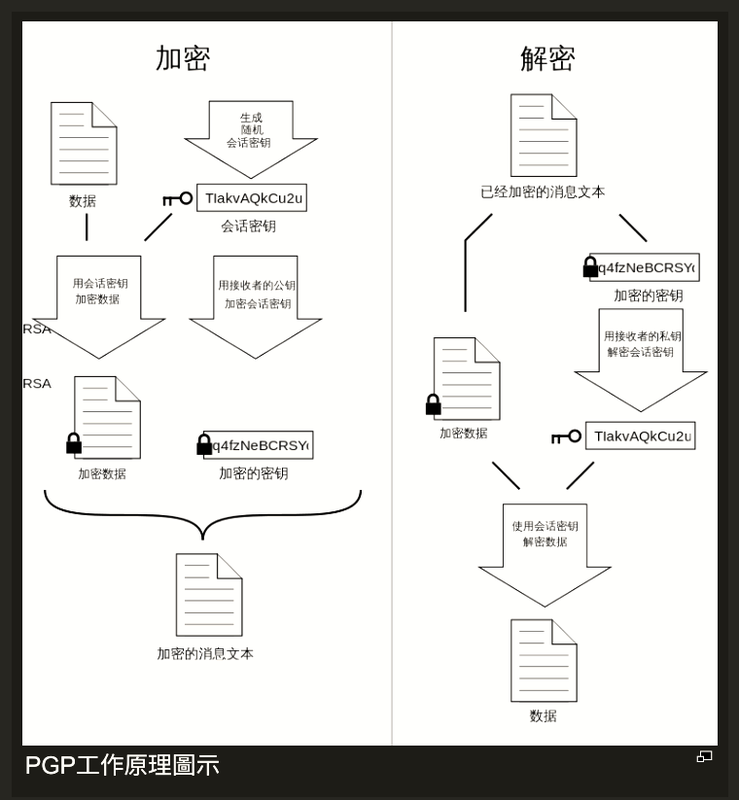 (7) reflexive 和 non-reflexive DDoS 的區別?，reflexive好像還會經由第三方來間接發送DDoS封包，使主謀更難被查到，進而隱身，嗎? © buf is 4 bytes, and there are 4 bytes more for $ebp, so total 8 bytes of data to overflow to the return address, payload is "A" * 8 + (\95\88\04\08) due to x86 little endian architecture.